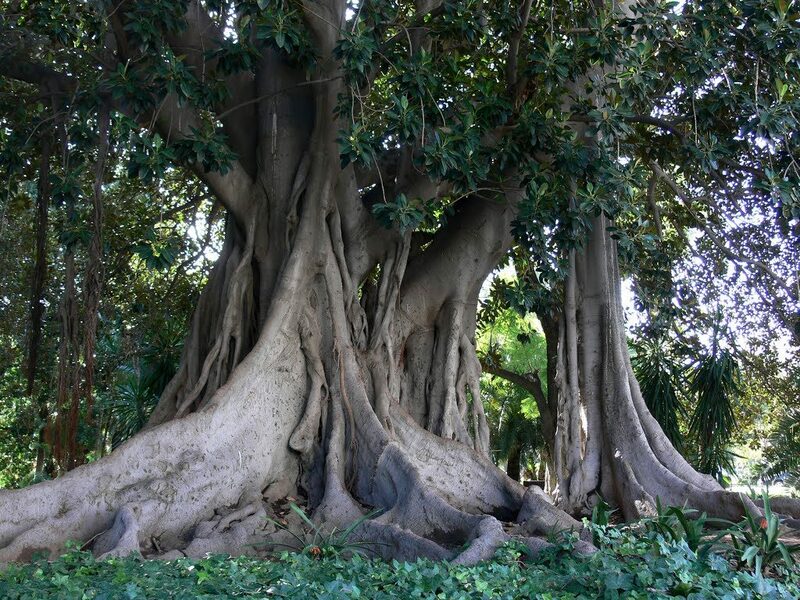 Throughout the municipalities of the Costa del Sol you can find an interesting amount of parks where to enjoy a walk, with family and children or read quietly a book under the shade of a tree. Over the next few weeks we will recommend the parks of each municipality on the Costa del Sol, accompany us on a walk through the 6 best parks in Malaga city! The Park of Malaga or Alameda Park located between the port and the historical centre is the oldest park in Malaga dating from the year 1899. The terrain was gained from the sea and today you can enjoy large and beautiful examples of subtropical trees giving shade and a lush exotic flora in the middle of the city. These gardens created in 1945 are located next to the Town Hall of Malaga between the Gardens of Puerta Oscura and the Park of Malaga. The park stands out for its large number of orange trees and therefore we can recommend a walk in its flowering season in March / April when this delicious aroma permeates the air. 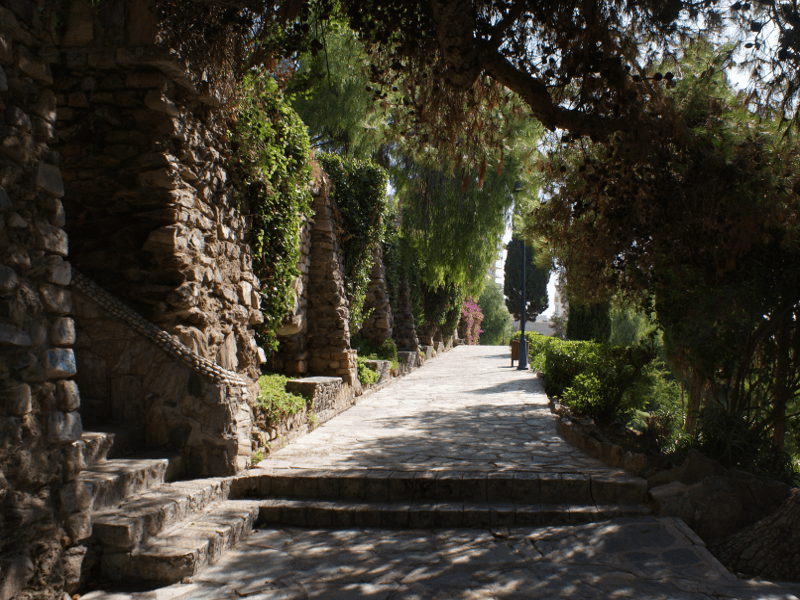 These gardens of abundant vegetation are situated very close to the gardens of Pedro Luis Alonso, on the slope of Mount Gibralfaro and were projected as a complement to the surroundings of the Alcazaba maintaining the same aesthetic. 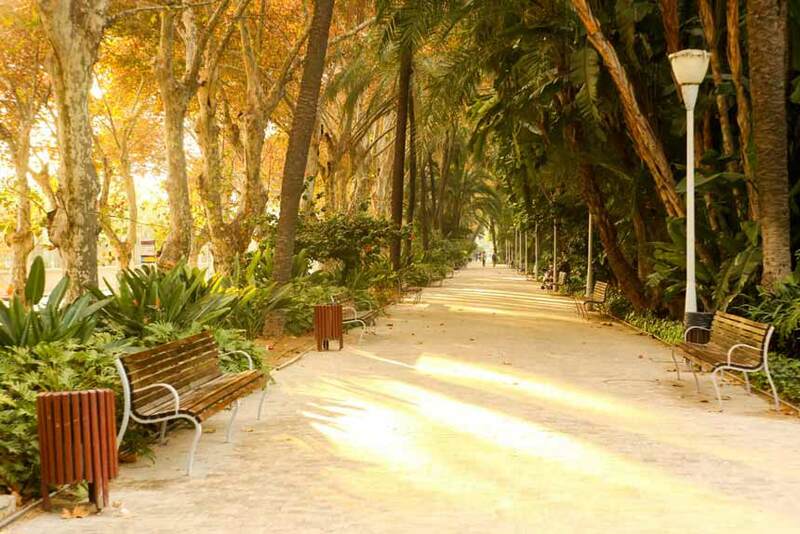 The park of Huelin is located one km from the train station towards the south. 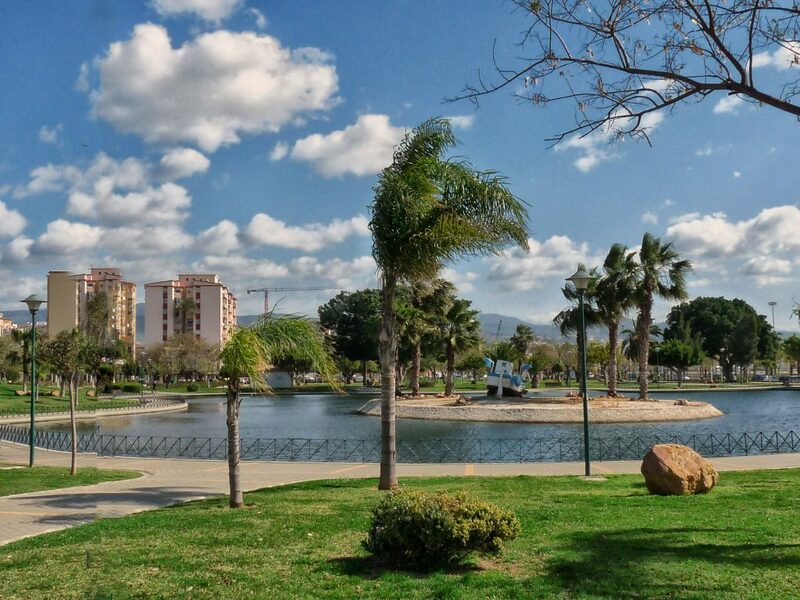 It is considered another of the great green spaces of Malaga. It has an area of 32,000 m² of landscaped area and more than 700 trees of different species, a pond with an artificial stream, a playground and a multipurpose sports court. 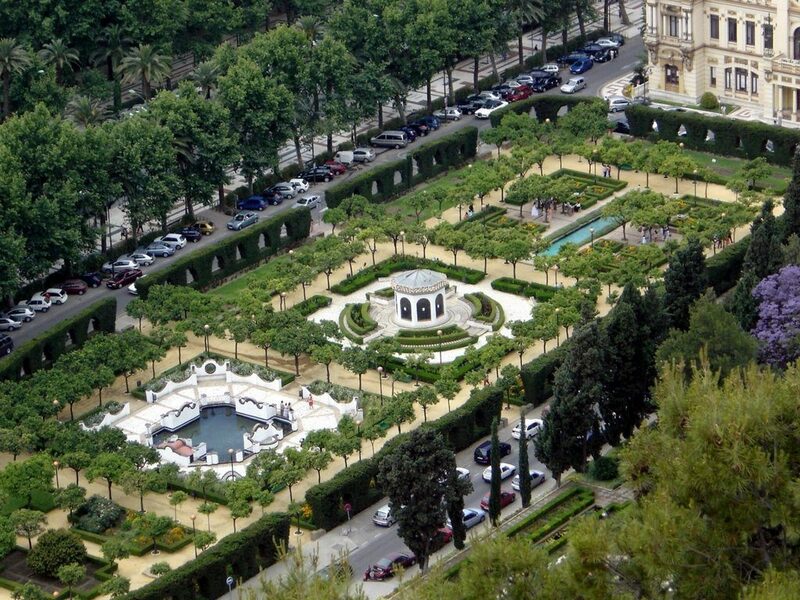 Jardines Picasso is situated one kilometre from the train station heading north. It is a small park with centennial Ficus located next to the very busy main avenue. 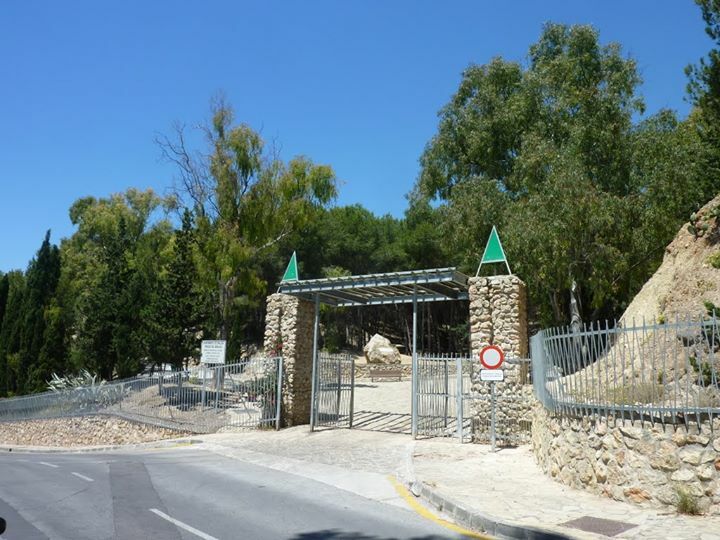 It is a forest park of almost 16 hectares located in the eastern part of the city to enjoy a pleasant walk in a Mediterranean forest. There are several areas for dogs.